Artists and artisans flourish in the Adelaide Hills, as they always have. 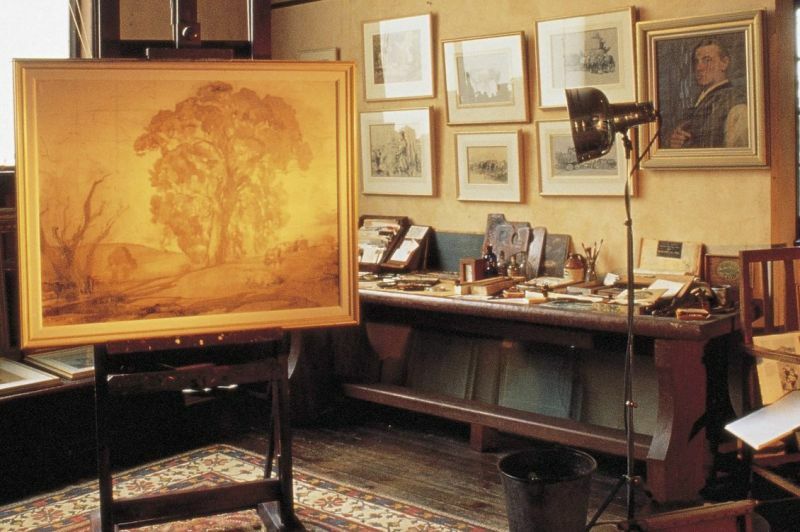 Fine studios and galleries abound, from the immense cultural legacy of Sir Hans Heysen's home and studio 'The Cedars', to grassroots community spaces. 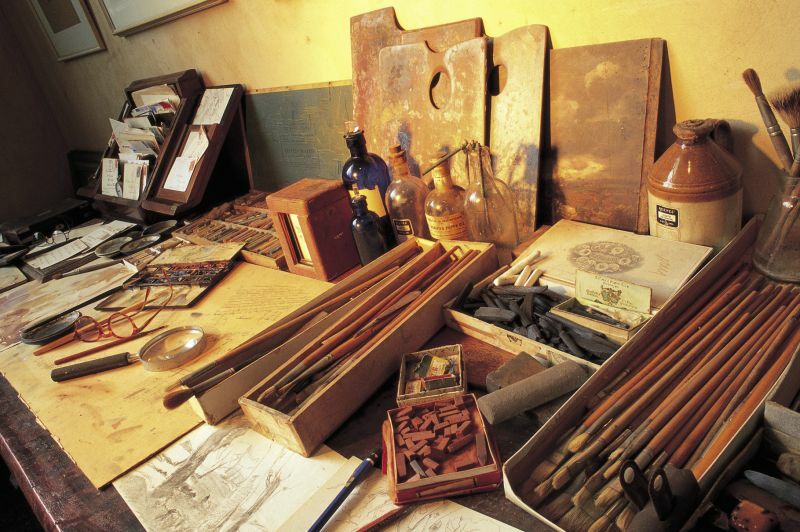 Visit the home, studio and garden of Australia's most renowned landscape artist Sir Hans Heysen. Heysen lived and worked at his Hahndorf property called 'The Cedars' from 1912 until his death in 1968 and it is now open to the public for guided tours. Little has changed at the Heysen family property, including the evocative stone studio among the artist's beloved gum trees - where it feels Heysen may have just stepped out for a moment. Some 200 original works of art can be seen in changing displays in the studios and the house. Visitors are invited to wander along the Artist’s Walk to discover some of Heysen’s favoured painting sites and be inspired by the same vistas that inspired some of his most famous works. Visitors can also see works by Sir Hans Heysen’s daughter Nora whose notable career spanned seven decades during which she painted some of Australia’s most outstanding self-portraits, became the country’s first female war artist, and was the first woman to win the prestigious Archibald Prize for portraiture. The Cedars hosts the Heysen Sculpture Biennial in odd years. You can also see an original 1932 Hans Heysen masterpiece ‘The Camp on Wonoka Creek’ at The Haus restaurant in Hahndorf’s main street. The Hahndorf Academy, housed in a magnificent heritage building on Hahndorf's main street, includes galleries with changing exhibitions, a small museum, artist studios and a shop featuring a fantastic range of quality hand crafted products made by local and regional artists and designers - from ceramics, glassware and jewellery through to woodwork and clothing. Don't miss the special collection of Sir Hans Heysen’s whimsical drawings of early village life. The Ukaria Concert Hall, part of the UKARIA Cultural Centre at Mount Barker, hosts a series of concerts every year showcasing leading national and international musicians. The new 200 seat auditorium is considered to be one of Australia's finest chamber music venues with its visually and acoustically impressive design - and its setting in the rolling hills just outside Mount Barker is simply spectacular. Fabrik is an emerging arts and heritage hub at the Old Woollen Mill site in Lobethal, featuring art classes and changing exhibitions with an emphasis on textiles. The Hills Sculpture Trail features 26 contemporary sculptures made by sculptors who travelled to the region from around the world for the Adelaide Hills Sculpture Symposium events in 2012, 2014 and 2016. Most of the sculptures are dotted around the beautiful landscape of the Adelaide Hills, with some in the neighbouring region of the Fleurieu Peninsula. Sculpture lovers will also enjoy Crystal Lake Sculpture Park in Macclesfield which features a number of sculptures and is the perfect spot for a picnic year round. It is also the location for a biennial 9-day sculpture symposium called Sculptors @ Crystal Lake led by master sculptor Silvio Apponyi (next held in April 2019). Almost a dozen commissioned sculptures and artwork can be found at Mount Lofty Botanic Garden in Crafers, allowing you to indulge your artistic side while surrounding yourself with natural beauty at the same time. Several works by Greg Johns – one of Australia’s best known and most successful contemporary sculptors – can be seen around the Garden and there is a special arts trail to follow. 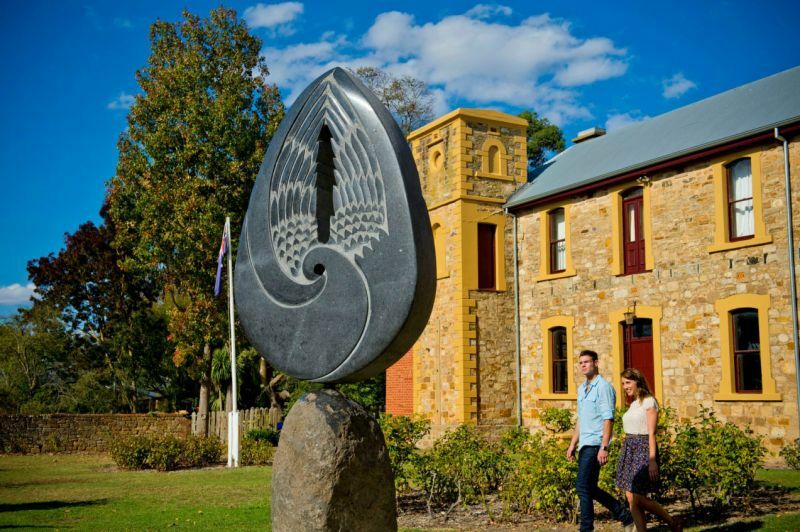 The Heysen Sculpture Biennial is held just out of the township of Hahndorf at The Cedars, the former home and studio of Sir Hans Heysen, one of Australia's most famous landscape painters. The next event is scheduled for February to April 2019. Aptos Cruz in Stirling regularly exhibits works by leading Australian painters, sculptors and photographers, as well as selling designer furniture, lighting and homewares from around the world. Top of the Torrens Gallery in Birdwood promotes and displays the work of Adelaide Hills artists, with regular exhibitions throughout the year covering a diverse range of work. The Gallery Shop offers an extensive range of well made individually hand crafted items suitable for gifts and souvenirs. Raynart Studio Gallery in Verdun features the work of resident visual artist Angus Rayner who describes his art as abstract impressionism, cheeky and quirky. His work is colourful and vibrant and uses a range of mediums including oil on canvas, water colours and ink on paper. His subject matter centres around the female form and has been influenced by the great masters and his global travels. Oakbank Weaver, housed in the Heritage-listed cellar of the Historic Pike's Brewery in Oakbank, produces handwoven textiles and tapestries produced on large looms. The weavers, Mary Cassini and Peter Stapleton, create their own patterns, which are fascinating to see emerging on the looms. The finished tapestries and textiles - ranging from throw rugs to suit fabrics, upholstery, stoles and scarves - can be purchased in the gallery. See Mary's eight tapestries woven for world peace and understanding known as 'The Eleventh Hour' Tapestries. Bamfurlong Fine Crafts in Hahndorf, The Coach House Studio in Gumeracha and Atelier in Crafers exhibit and sell the work of local artists and jewellers. 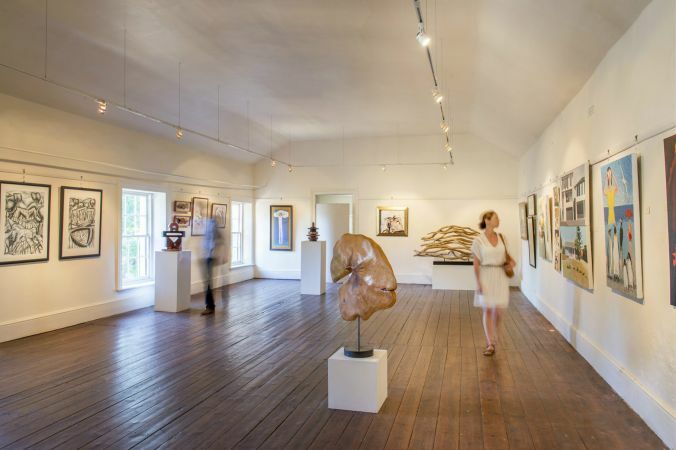 There are a number of excellent galleries and studios in Hahndorf. The Aboriginal Art House features a wide selection of Australian Aboriginal art. The Bukartilla and Tineriba Gallery displays tribal art from Australia, Africa, Oceania and Papua New Guinea plus works by contemporary Aboriginal artists. The Paint Box is a beautiful art supplies store with a studio with resident and guest artists. Wineries, restaurants and cafes around the region embrace the arts, with many featuring local work for sale or holding exhibitions. Magpie Springs, Bird in Hand, ArtWine, Mt Lofty Ranges Vineyard, Longview Vineyard, Barristers Block Wines, Sinclair's Gully and Norton Summit Vineyards are just some of the wineries that are known for their connection with local artists. Field Trip in Balhannah offers unique, small-batch artisan wares. It is also the working studio of Mim Clarkson and Linda Marek (Delilah Devine) producing clothing, jewellery and homewares. Cheese Factory Studio Gallery in Meadows for tribal instruments, art and sculpture exhibitions, folk and new world music concerts, amphitheatre and recording studio. Ink Pot Arts Inc is a creative hub of industry professionals and their supporters enabling workshops, performance projects and festival events to take place in the Adelaide Hills. Based at the Mount Barker Town Hall, classes are incredibly varied but range from circus and drama through to art therapy and ukulele. The Community Mosaic Couch Trail project brought together locals in bushfire affected communities in the Northern Adelaide Hills to make mosaic ‘patches’ that joined to form the ‘quilts’ that now adorn a trail of outdoor community couches. 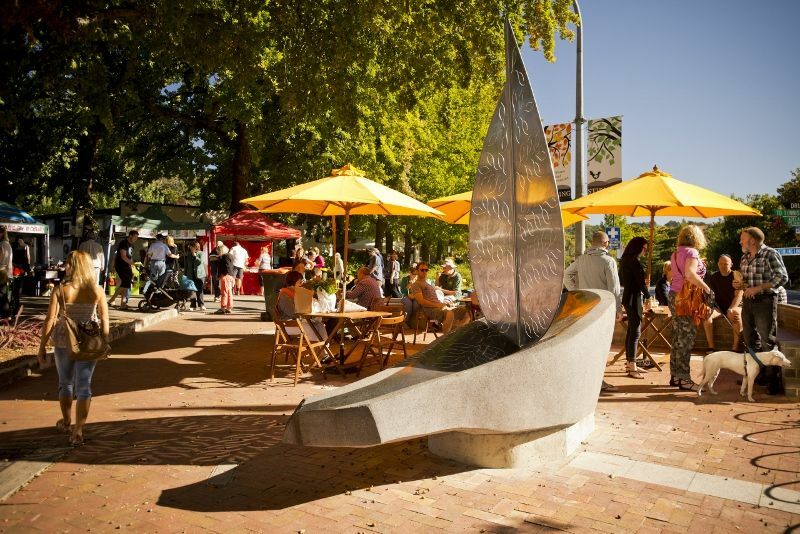 Check out the trail of these colourful community couches situated in Houghton, Kersbrook, Gumeracha, Cudlee Creek and Paracombe – works of art that are testament to the community spirit, collaboration and resilience of Adelaide Hills communities. Somerled combines the wine and food of their iconic cellar door on Hahndorf's main street with live model life drawing at The Paint Box. Evocative Arts and Heritage near Stirling offers workshops and creative art experiences taught by national international artists using fibre arts (felting, stitching, dyeing), encaustic art (hot wax painting on wood), collage, painting, printing, jewellery, paper making, sculpture and ceramics. Shannon Cornish offers jewellery making classes in Woodside. 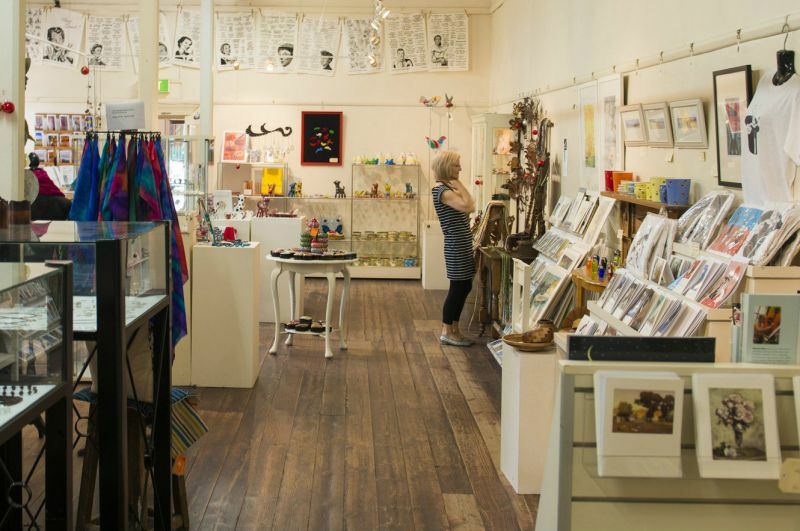 Deborah Twining Arts in Verdun offers art classes and workshops, as does Hahndorf Academy in Hahndorf's main street, which is home to Rebecca Prince's Arty Types art school.